It’s been been eight long years since the original Red Dead Redemption released on PlayStation 3 and Xbox 360. 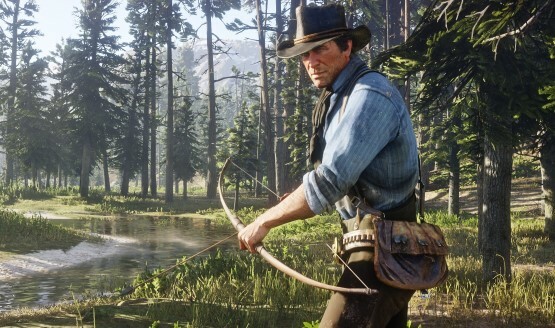 While Rockstar has been hard at work on the long-awaited sequel, they have released a series of screenshots to appease us all in the meantime. These screens, shown below, feature a variety of characters and settings in gloriously high resolution. Most importantly, we can finally see some of the characters’ physical features in detail along with a vague glimpse of their personality. Arthur Morgan: The game’s main protagonist and a member of the Van der Linde gang. While the gang has taken care of him for many years, Morgan finds himself conflicted between his own ideals and the group’s end goal. John Marston: The central character from the first game. While he makes an appearance in the sequel, Marston is not the center of attention this time around (as the story takes place before the events of the first title). Sadie Adler: A female member of the aforementioned gang. The new screens also feature many of the gang members together in a setting similar to the first, although the exact area hasn’t yet been confirmed. That said, various parts of West Elizabeth are confirmed to be within the game. Red Dead Redemption 2 will be available on PlayStation 4 and Xbox One consoles on October 26, 2018.